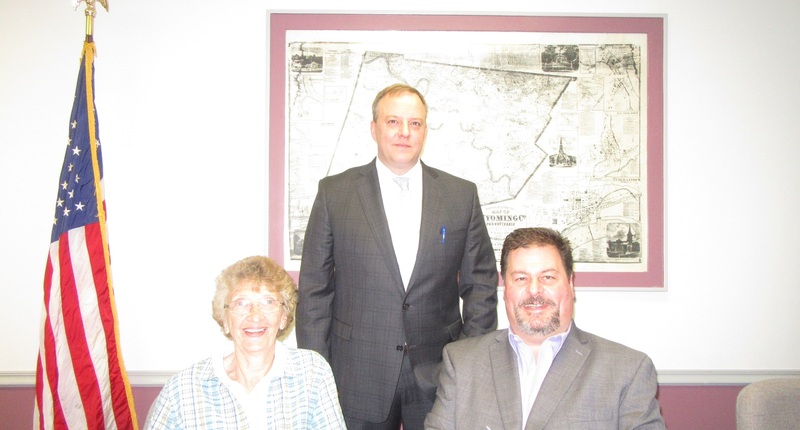 Wyoming County Commissioners (seated, from left) Judy Mead and Tom Henry welcomed Atty. Timothy Michaels (standing) to the board room on Tuesday. Michaels will officially become the county’s new public defender on June 1. 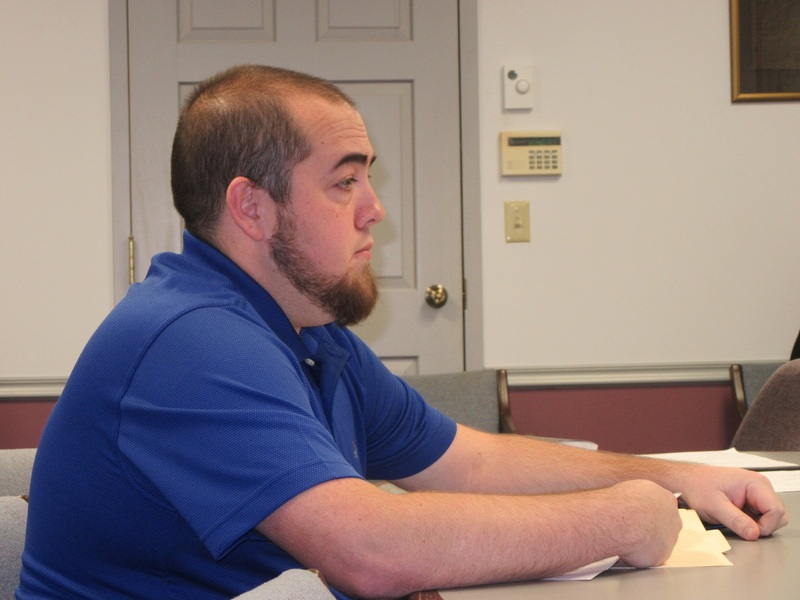 At the May 29 meeting of the Wyoming County Commissioners, 911 director Jeff Porter reported that an afternoon storm on May 15 really put the county’s emergency operations to the test. Assistance from dispatchers at both ends of the county, and an immediate response from the system vendor helped to save the day. Nonetheless, it was an election day for the history books. Severe lightening, strong winds and heavy rain knocked out the primary system at about 3 pm, forcing the crew to a backup system intended for just such a scenario. There was some damage to the communication tower in Forkston, but the county’s other tower in Osterhout suffered a near catastrophe. The swirling winds spun the microwave dish that transmits radio signals from tower to tower and to the operations center in Tunkhannock Township 100 degrees in the wrong direction. Porter (below) also cited fire chiefs Brian Gow of Factoryville and Chris Carney of Meshoppen for relaying a number of calls when the storms were at their peak. All fire stations were adequately staffed during the emergency. Commissioner Tom Henry noted that the storms also cut power for varying amounts of time to polling places throughout the county, as well as at the courthouse. In other business, the commissioners accepted the resignation of Alysha Gregory from her position in the Prothonotary’s office, effective June 8 and approved the hiring of Marne Greenly for District Justice David Plummer’s office, effective, June 4. 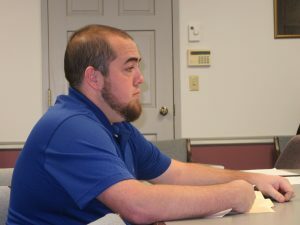 Henry related that, during a recent work session attended by Lisa Hahn of the Wyoming County Housing & Redevelopment Authority, it was confirmed that he is authorized to sign requests and invoices from the agency without putting them to a board vote. Solicitor Paul Litwin agreed but advised that Henry continue to discuss each request with the other commissioners. Commissioner Judy Mead was impressed by the number of citizens who gathered at the courthouse after the Memorial Day parade on Monday. One of the speakers told her that he was not accustomed to speaking to such large crowds. “That made us very proud of the community,” she remarked. The next meeting of the Wyoming County Commissioners will be held at 9 am on Tuesday, June 12 at the courthouse in Tunkhannock.